Barnaby Wainfan is a technical fellow with Northrop-Grumman, but possibly best known for the FMX-4, well known as the “Facetmobile.” His talk on “Low Aspect Ratio Electric Airplanes gave attendees at the ninth annual Electric Aircraft Symposium a great deal of counter-intuitive insights into how a successful airplane can look and work. 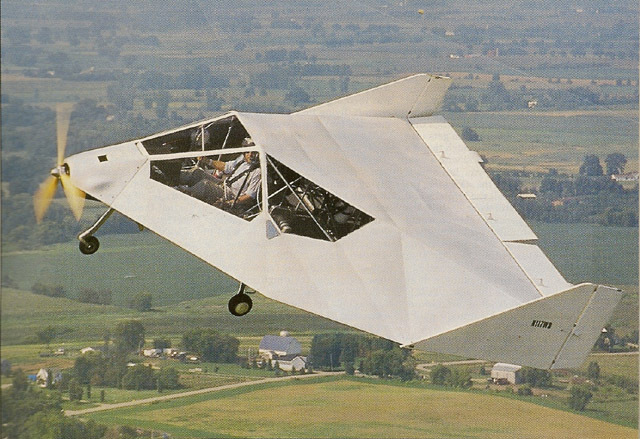 The FMX-4, he pointed out, is a low-aspect-ratio, light weight, single primary structure, low-parts-count airplane with benign flying qualities. When, as he told his audience, he decided to stop talking and start testing, he began with X-Plane computer simulations to check out his theories and studied simple, fast-building structures that would get him into the air expeditiously. N117W was easier to build than curved sticks, and despite its angular lines, the airflow doesn’t separate over its flat surfaces. He could carry an approach at 10 degrees positive angle of attack (AOA) and still have 30 degrees available before reaching a stalling point. The airplane carries a payload equal to its own weight on the 46 horsepower provided by its Rotax 503 two-stroke engine, and yet it can cruise at 102 knots (117.3 mph). Performance was good enough to inspire the FMX-5 two-seat concept with even better performance. N117W had a crash landing following a failure of its two-stroke engine and has yet to be rebuilt to airworthiness. The FMX-5 has yet to be built completely. 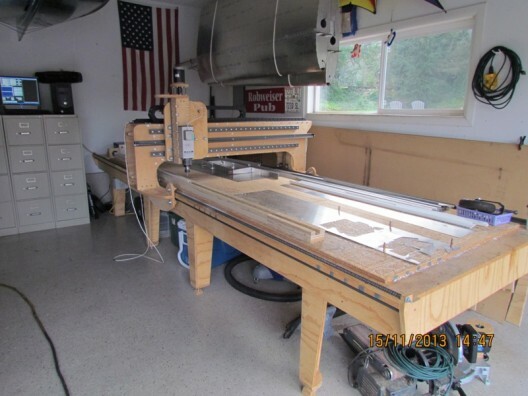 In the meantime, a group at Experimental Aircraft Association Chapter 292 in Independence, Oregon is building an independently redesigned batch of at least six faux-Facetmobiles (with no affiliation with the original other than their reverse engineering and construction efforts). Homemade CNC tooling and strong determination by the group of builders has made for fast progress, and the simplicity of the design has made for low costs for the ultimate aluminum-tube and gusset construction. Barnaby asked the Symposium audience why this configuration works. 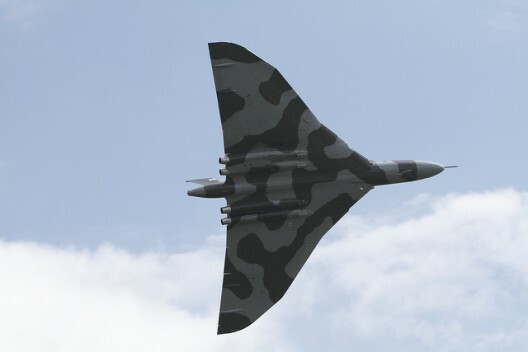 He showed examples of the Dyke Delta, a radical homebuilt from the 1960’s, a British Vulcan bomber, and the AR-3, a low-aspect ratio design from the 1930’s. A similar low AR machine, Charles Zimmerman’s “Flying Flapjack” Grumman VF-173 showed an ability to remain stable at extremely high angles of attack. The counter-rotating propellers, mounted at the outer limits of the “wings,” opposed the normal tip vortex, with power-on span efficiency greatly improved. These three aircraft, despite their different missions and size, shared some common traits. According to Barnaby, an airframe’s figure of merit is its payload to drag ratio, with the relevant lift-to-drag (L/D) number measured at its cruise, not its maximum speed. These low AR craft are lighter than their conventional counterparts, and generally have shorter wingspans and greater span efficiency with their all-lifting airframes. They all have nearly elliptical span loading, and their wide wing chord gives a high Reynolds number, reducing skin friction drag. A Cessna 150 has higher aerodynamic efficiency in terms of L/D, but the Facetmobile has a higher structural efficiency with a greater useful load in terms of the aircraft’s total weight. The two airplanes’ transport efficiency is comparable. Barnaby discussed the possible use of distributed propulsion on low AR machines. A high ratio of peak power to cruise power would enable lifting large loads to altitude quickly while reduced power would allow greater range on low fuel burn (or Wattage). Such propulsion would be compatible with electric motors and automated control could enable flight with minimum control deflection or the possible removal of aerodynamic controls entirely. Going even further, Barnaby told of an experiment in Australia following World War II, in which a DeHavilland G2 combat glider was refitted with a thick suction airfoil and a small engine to pull air in through the slot along the rearward hump in the span. He referred the group to papers by Fabio Goldschmeid in the CAFE Foundation’s on-line technology library, which show that under certain conditions integrated pressure distribution such as this had a net forward thrust component. 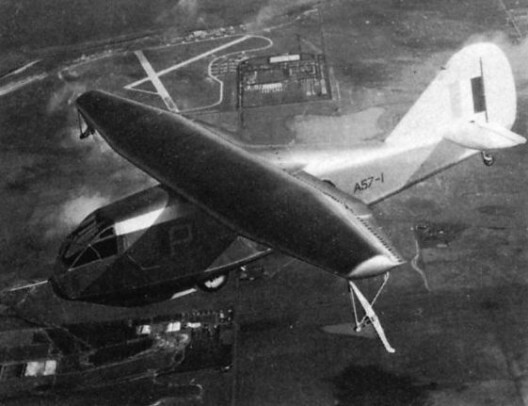 The de Havilland (Australia) G.2 glider modified to test-fly the Griffith-designed GLAS II section, which had a suction slot well back on the wing chord. Other elements of the low aspect ratio craft allow many design many design possibilities. The large internal volume leaves room for people, cargo and possible hybrid applications. Propulsion systems integrated into the low AR concept, and the potential use of large tip propellers and suction airfoils could open new aerodynamic concepts for exploration. Better span efficiency and low skin friction coefficients allow performance comparable to conventional shapes while retaining the advantages of light weight and large usable volume. For more details of this type of configuration, see the study prepared for Mark Moore at NASA Langley Research Center. The paper includes a multiplicity of alternate construction techniques. To craft your own card-stock, relatively easy-to-make model of the airplane, try this. We hope to see advances along this line of thought. My non-flying friends who see pictures of the Facetmobile are struck by its design and have kind thoughts about it. If pretty is as pretty does, the FMX-4 is a ravishing beauty. I’ve noticed a slide you presented (http://eas2016.com/2015-eas-gallery/) showing a drawing of a wing tip “per-Fibonacci”. Some measures there are indeed members of the Fibonacci series: 8, 13, 21, 34, 55.., but is this choice of values has a structural meaning, or is it just an exercise in designing?